Delhi Park & Garden Society, Delhi Govt. 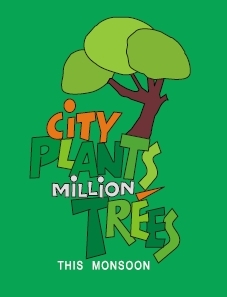 is receiving calls from Dwarkaites seeking info/ queries regarding free saplings, Tree plantation info, Adoption of parks by RWA/ NGOs/ Organizattions, funds for maintenance of parks etc. Dr. Sukhdev Singh, CEO, Delhi Park & Garden Society, Delhi Govt. suggested to organise a core meeting of RWA-CGHS managements/ NGOs to share about environment & other useful information. On request he agreed to come on Sunday. The meeting is on 7 th August 2011(Sunday) at 3 PM at A-64, Nirmala House, Sector-7, Palam Extention, Dwarka. 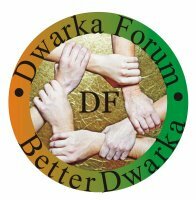 Social activists are invited to join as associates in GREEN DWARKA initiative. Only one representative from an organization. For more info, please call Naresh Lamba – 9891550792. RTR Flyover traffic management at Outer Ring Road (Rao Tula Ram Marg). Thumbs up for Anna Hazare ji !